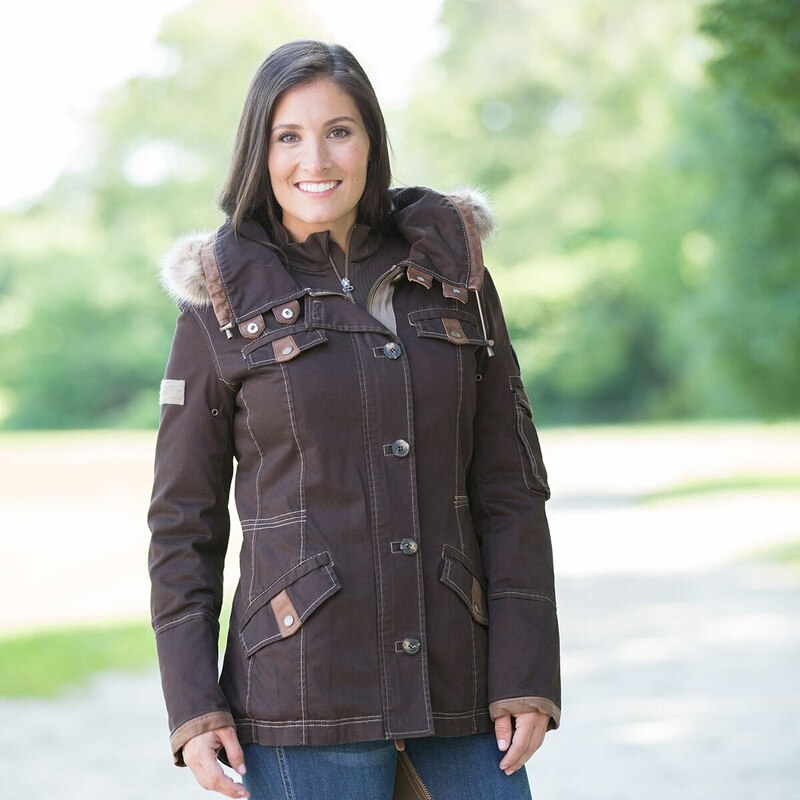 The Goode Rider Vintage Jacket is a feminine nod to the classic oilskin coat! Feminine details such as an interior drawstring cord make for a flattering silhouette and will look good on many body types. 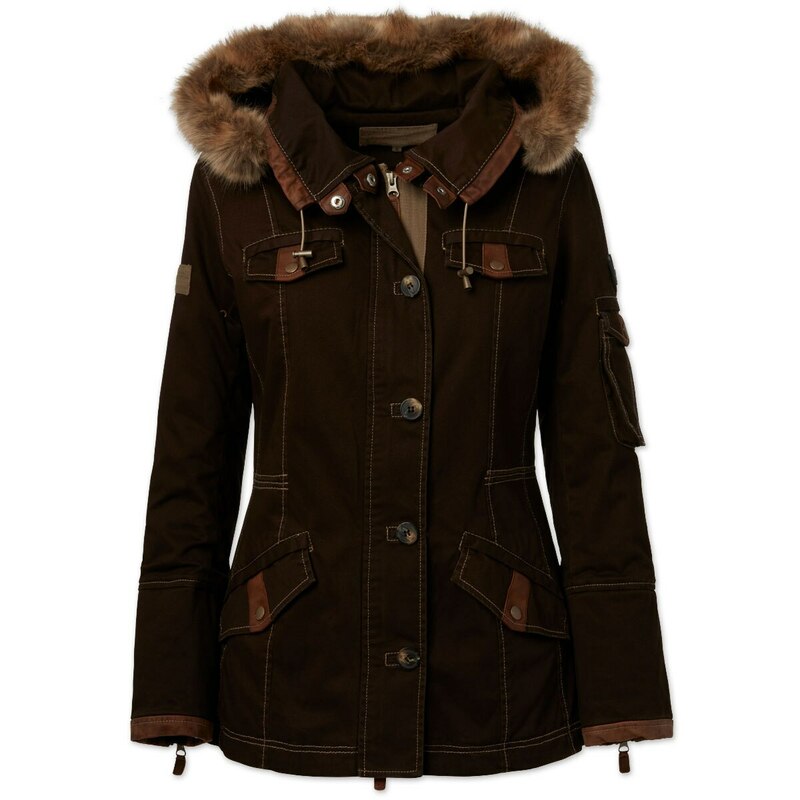 This versatile jacket lends many purposes from wearing in and out of the saddle and also around town. 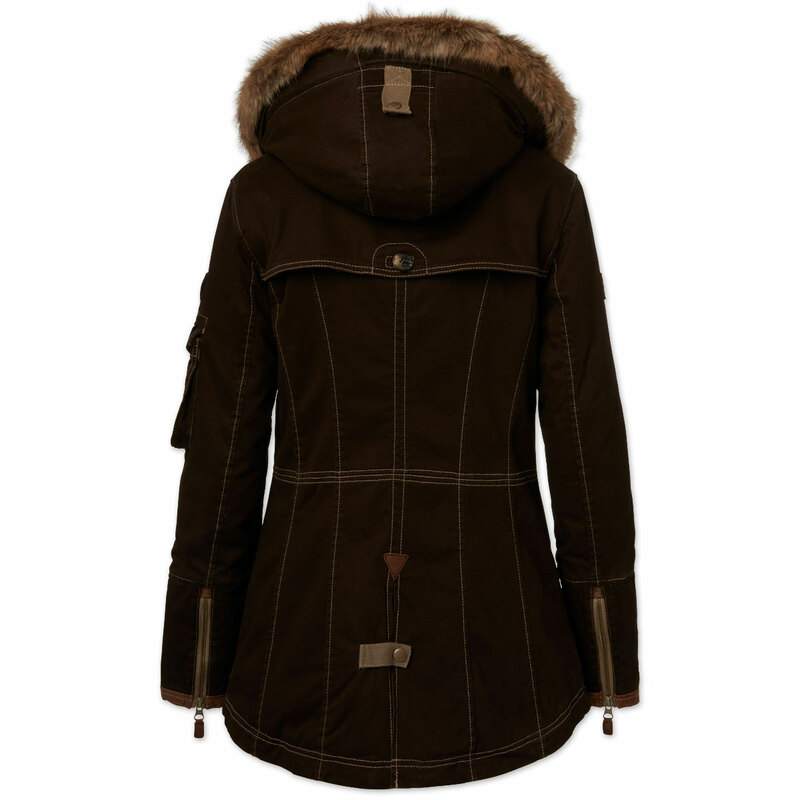 Trendy touches such as leather trim details and faux fur hood will take you effortlessly from the barn to the store in no time. Stretch cotton/ Spandex material will stay with you no matter what you're doing so you'll have freedom movement and fur fleece lining will keep you cozy when the temperature drops outside. Goode Rider Vintage Jacket is rated 5.0 out of 5 by 1. Rated 5 out of 5 by Drich from So cute! Love this! Unique style and warm! Flattering fit and arms long enough for in the saddle.